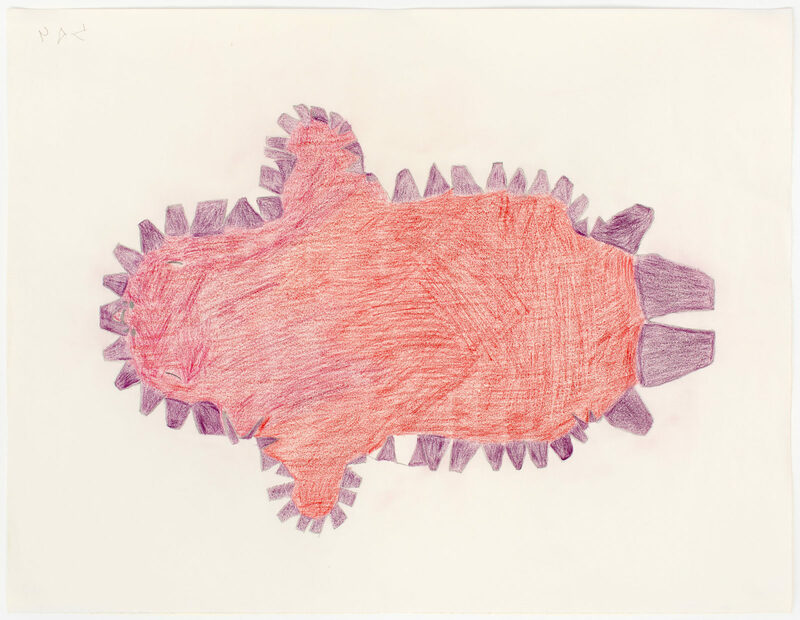 untitled (red and purple seal), 1996-97, color pencil, graphite, paper, 20 x 26 in. 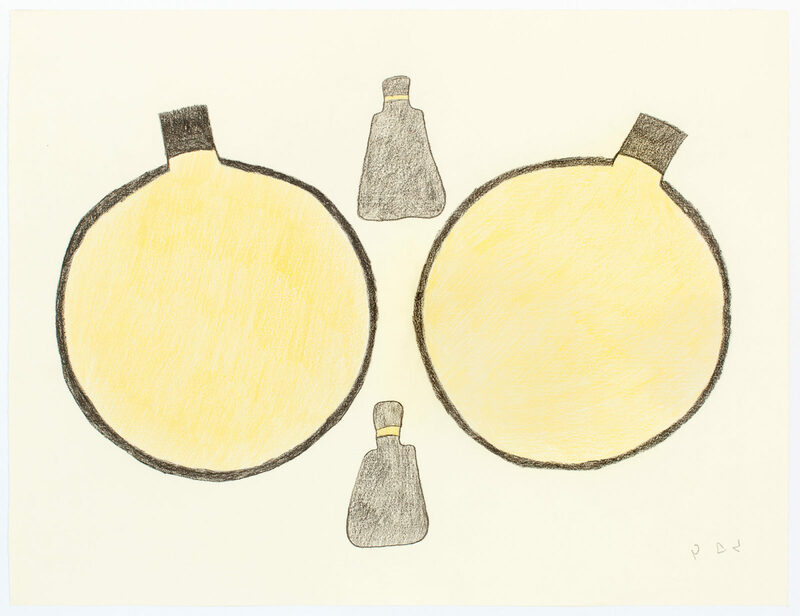 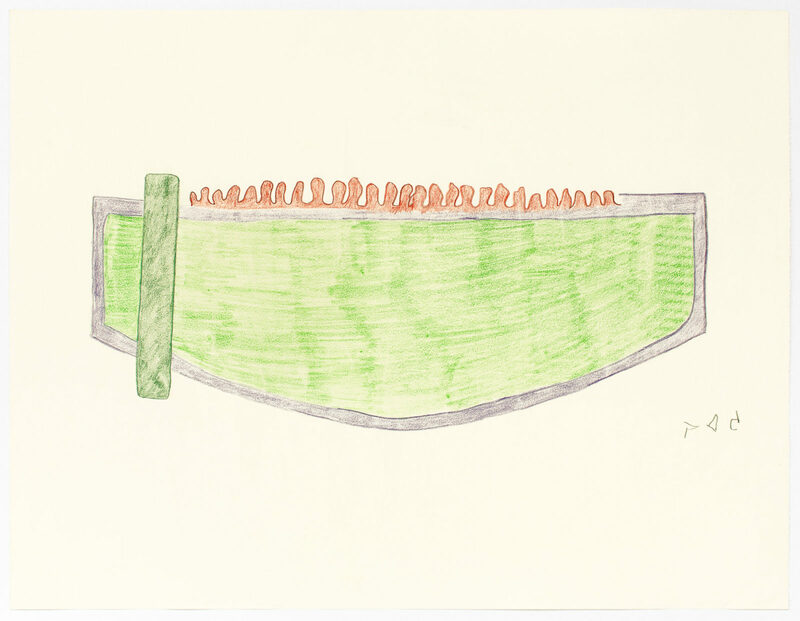 untitled (drums and snow shovels), 1994-95, color pencil, graphite, paper, 20 x 26 in. 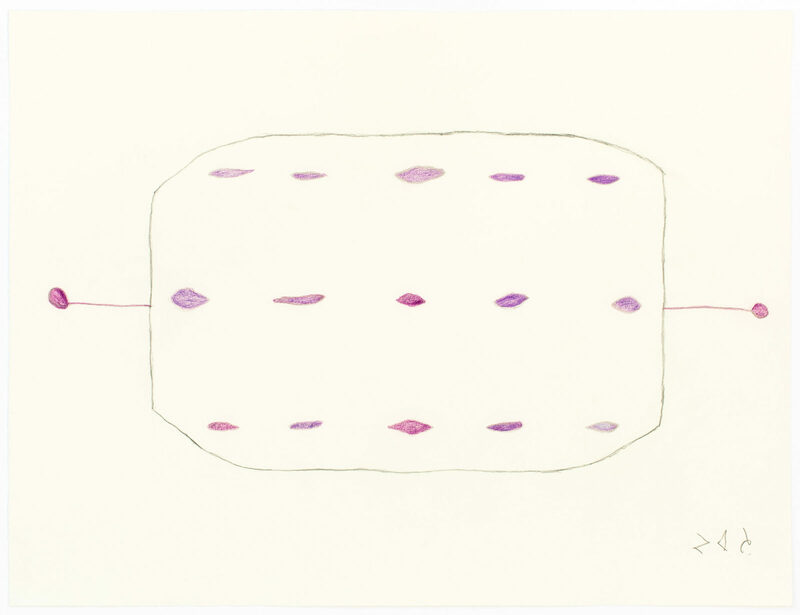 untitled (composition), 1998-99, color pencil, graphite, paper, 20 x 26 in. 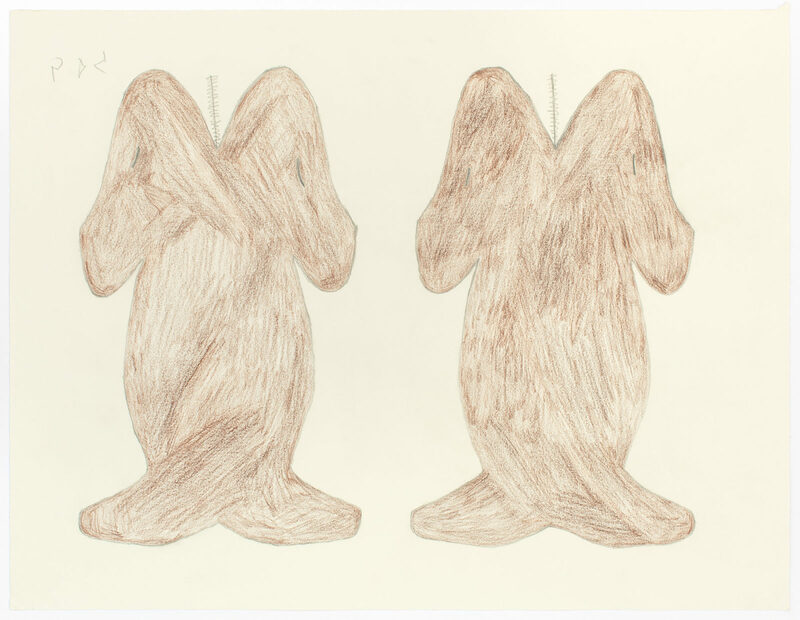 untitled (two narwals brown), 1995-96, color pencil, graphite, paper, 20 x 26 in. 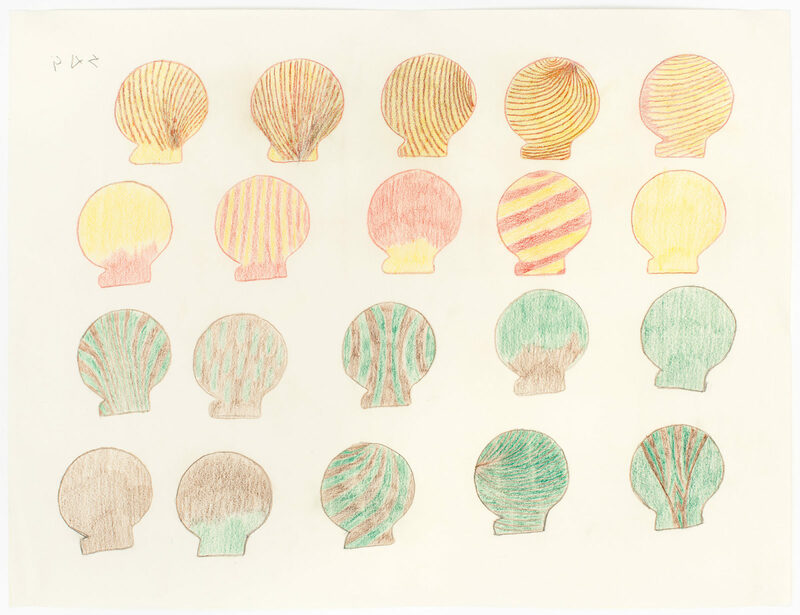 untitled (seashells), 1995-96, color pencil, graphite, paper, 20 x 26 in. 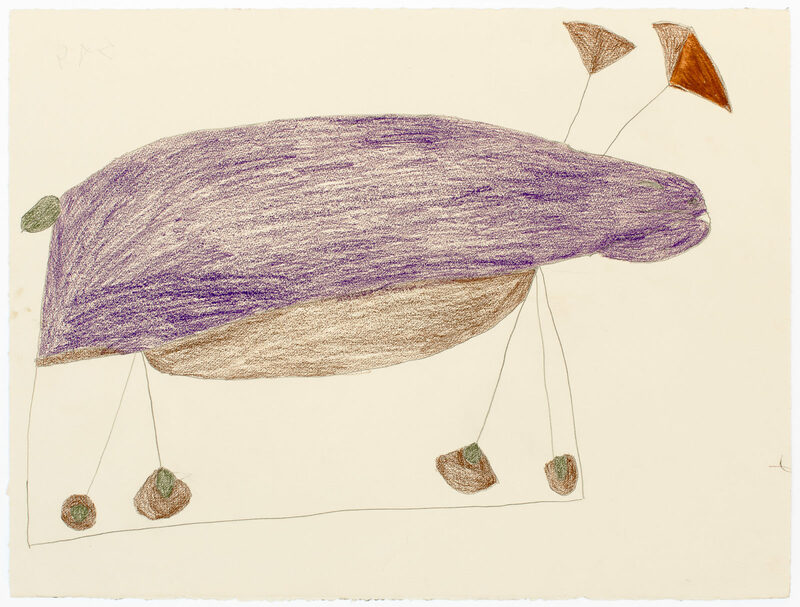 untitled (caribou), 1998-99, color pencil, graphite, paper, 22 x 29.5 in. 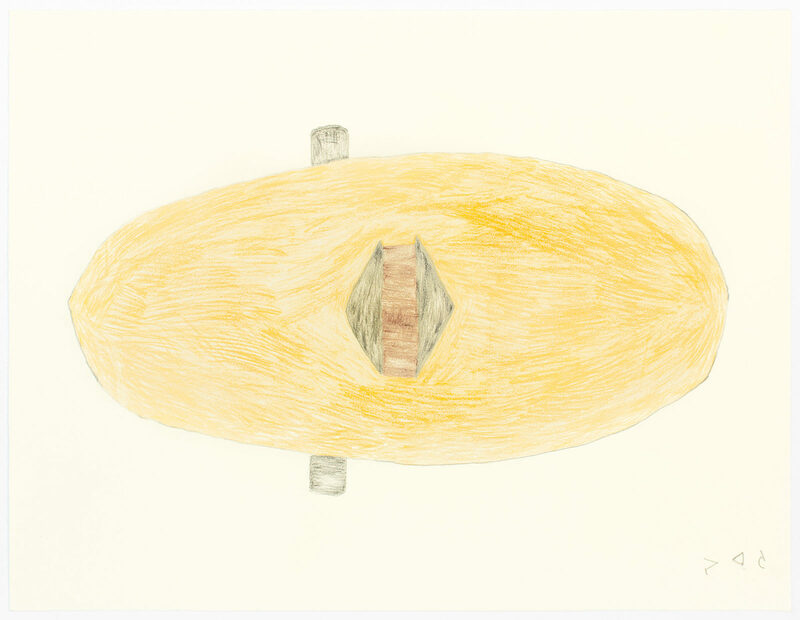 Alligauya (flying saucer), 1998-99, color pencil, graphite, paper, 20 x 26 in. 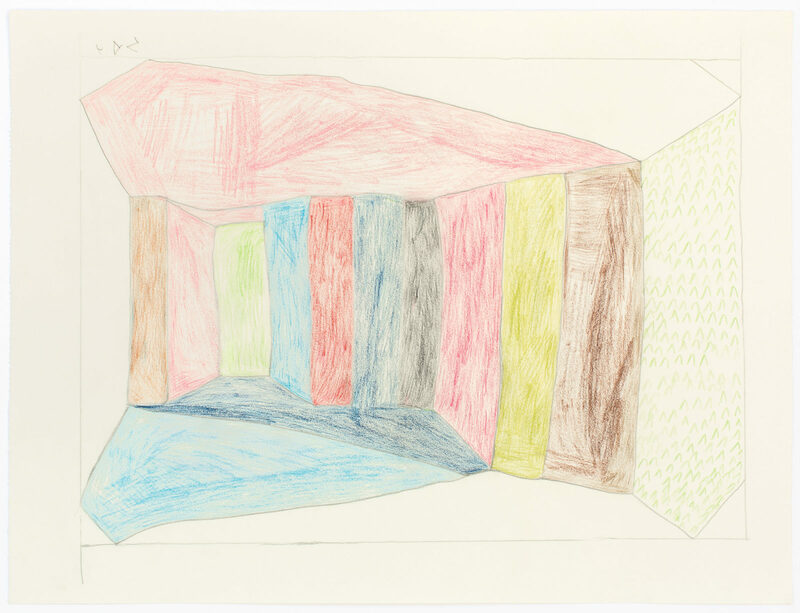 untitled (tent), 1998-99, color pencil, graphite, paper, 20 x 26 in. 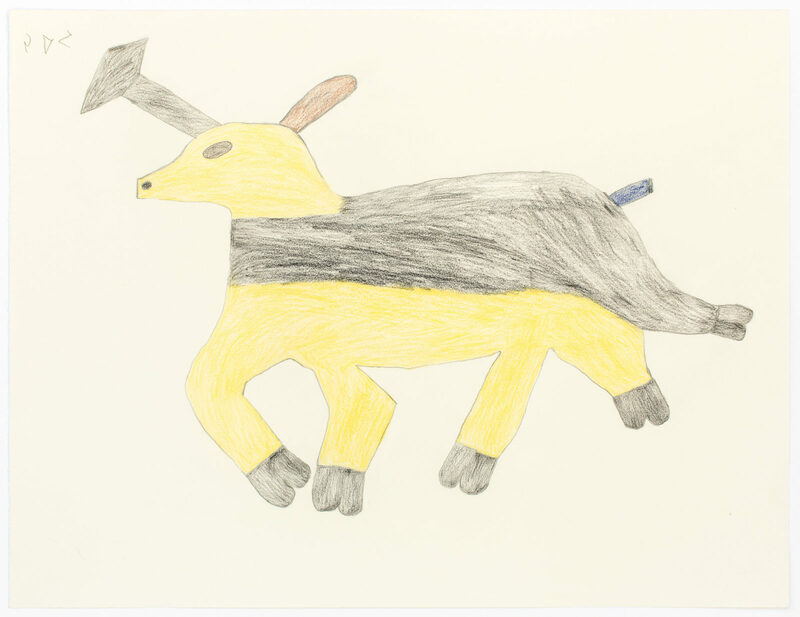 untitled (caribou), 1998-99, color pencil, graphite, paper, 20 x 26 in. 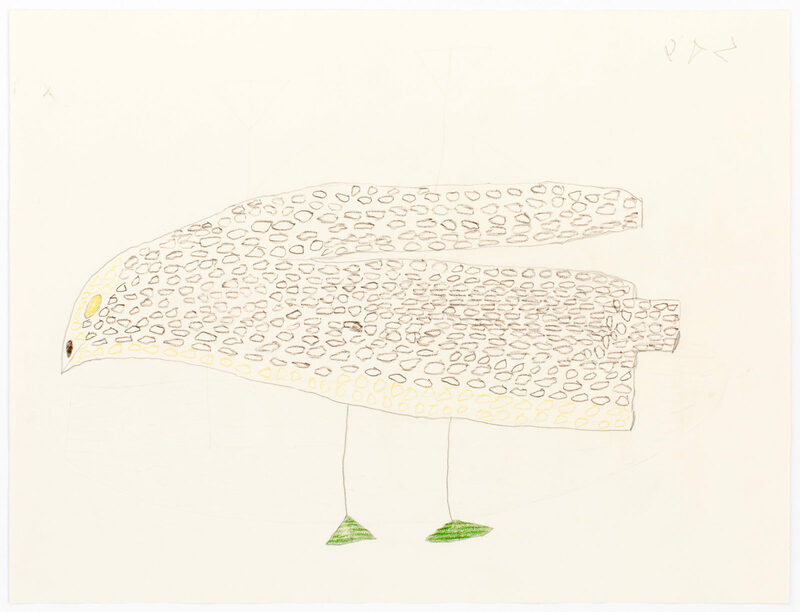 untitled (bird), 1998-99, color pencil, graphite, paper, 20 x 26 in. 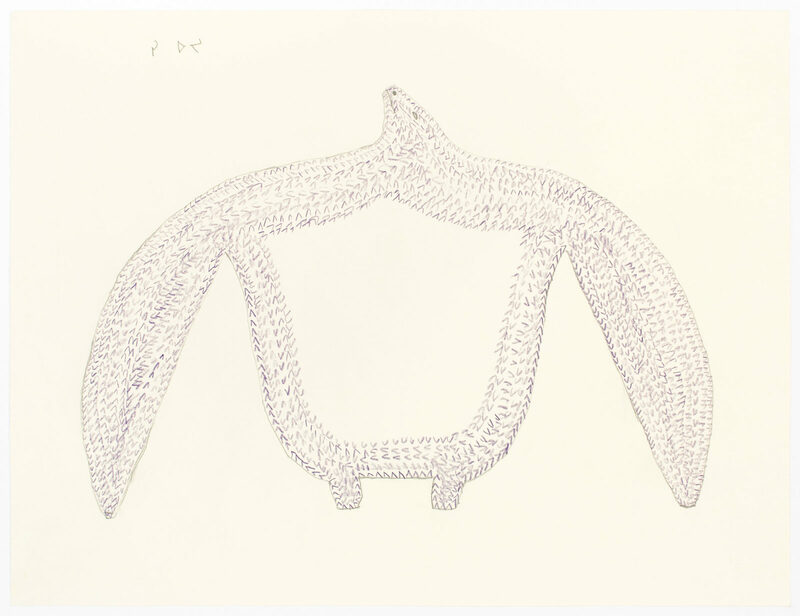 untitled (kudluk), 1995-96, color pencil, graphite, paper, 20 x 26 in. 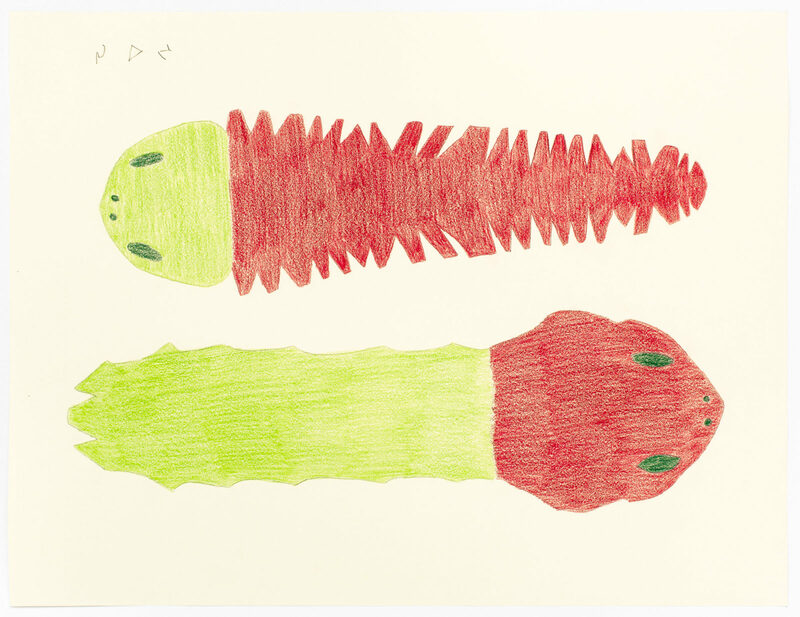 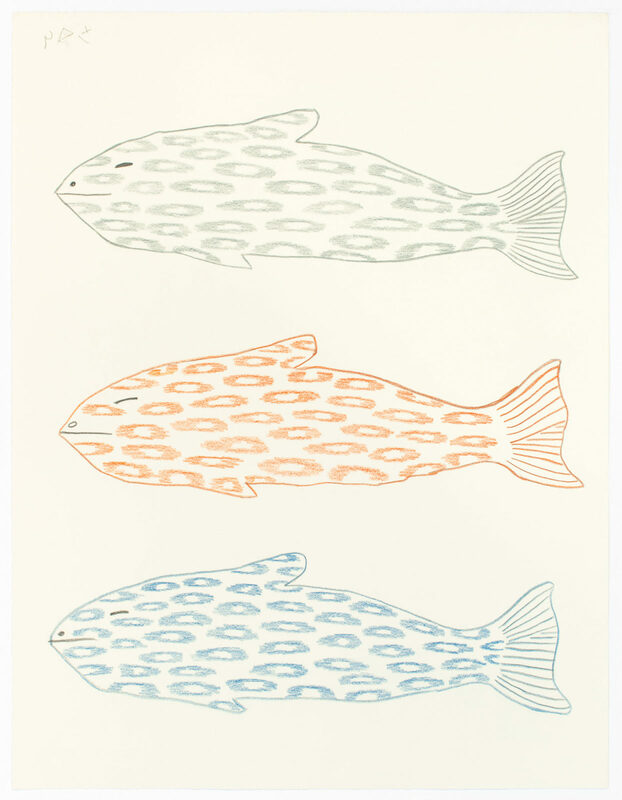 untitled (sea creatures), 1995-96, color pencil, graphite, paper, 20 x 26 in. 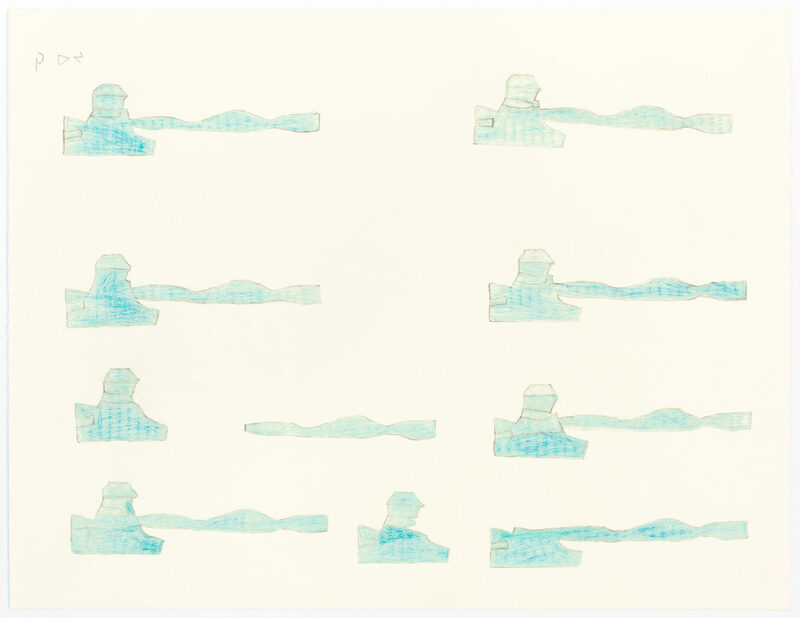 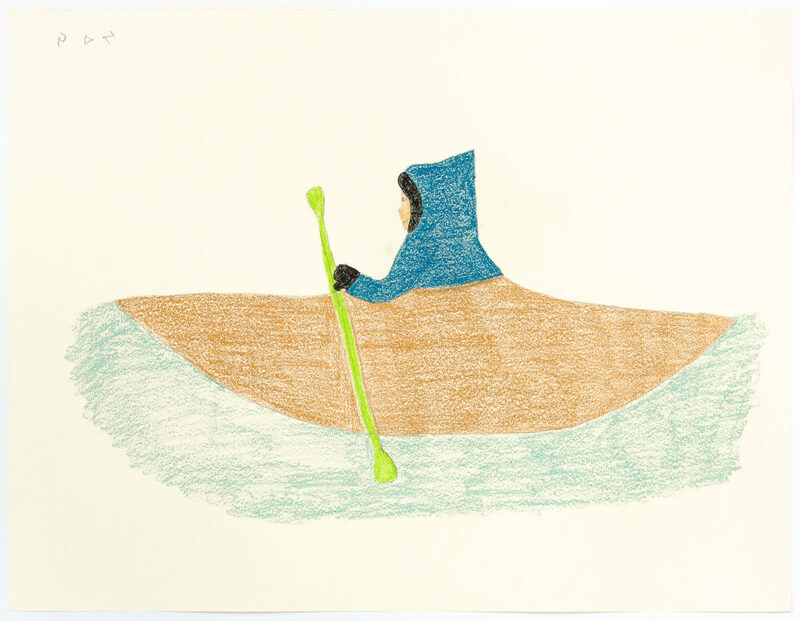 untitled (kayaker), 1995-96, color pencil, graphite, paper, 20 x 26 in. 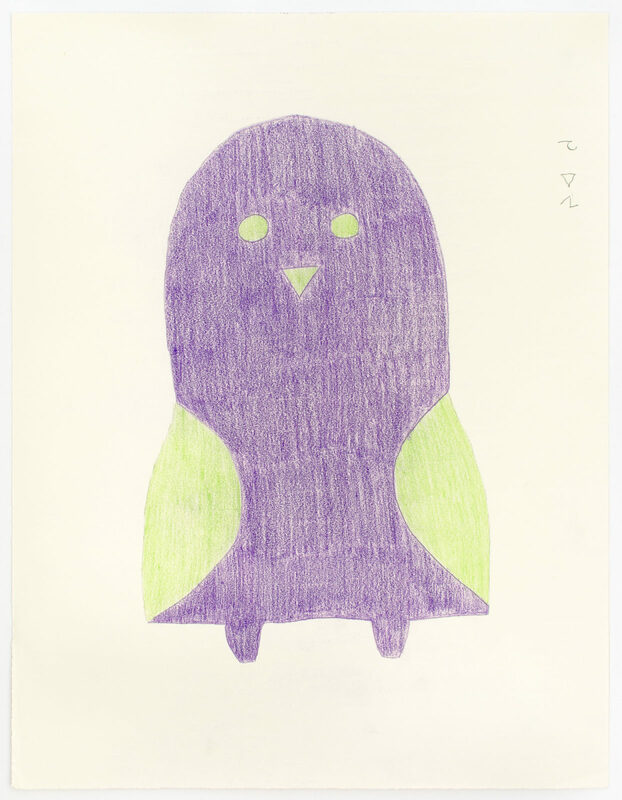 untitled (purple bird with green wings), 1994-95, color pencil, graphite, paper, 20 x 26 in.